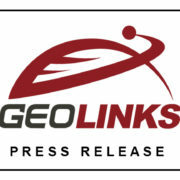 GeoLinks awarded $87.8M in the in the FCC’s Connect America Fund Phase II Auction, becoming the largest winner in the state of California, and 5th largest winner in the nation. 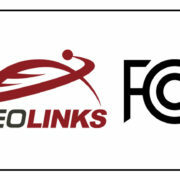 CAMARILLO, Calif.–(BUSINESS WIRE)–On Tuesday, August 28th, the Federal Communications Commission (FCC) officially released the results of its Connect America Fund Phase II (CAF II) auction, allocating $1.488 Billion to close the United States’ Digital Divide. Innovative award winning telecom, GeoLinks, headquartered in Camarillo, California, received a total of $87.8M to expand rural internet in California and Nevada, making it the largest auction winner in the state of California, and 5th largest winner in the nation overall. Ousting big telcos such as Verizon, Frontier, and AT&T, this is the first time the largest winner of CAF in California has been an independent operator and not an incumbent local exchange carrier (ILEC). As stated by Chairman Ajit Pai in the FCC’s formal release, the successful conclusion of this first-of-its kind auction is great news for the residents of these rural communities, who will finally be able to share in the 21st-century digital opportunities that broadband provides. By tapping the mechanisms of the marketplace, the CAF II auction served as the most appropriate and cost-effective way to allocate funding for broadband in these unserved communities, bringing the highest-quality broadband services to the most consumers at the lowest cost to the ratepayer. For media inquiries or interview requests, please contact Lexie Olson at [email protected]. 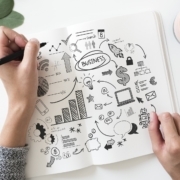 Headquartered in Southern California, GeoLinks is the Fastest Growing Telecom in California and a competitive local exchange carrier (CLEC) public utility, nationally awarded for its innovative Internet and Digital Voice solutions. 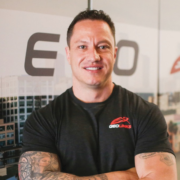 Ranked in both 2017 and 2018 as one of Inc. Magazine’s Fastest Growing Companies in America on the Inc. 5000, GeoLinks delivers Enterprise-Grade Internet, Digital Voice, SD-WAN, Cloud On-ramping, Layer 2 Transport, and both Public and Private Turnkey Network Construction expertly tailored for businesses and Anchor Institutions nationwide. GeoLinks’ accelerated success is largely due to its flagship product, ClearFiber™, which offers dedicated business-class Internet with unlimited bandwidth, true network redundancy, and guaranteed speeds reaching up to 10 Gbps. 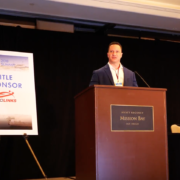 Named “Most Disruptive Technology” in the 2018 Central Coast Innovation Awards, GeoLinks’ ClearFiber™ network is backed by a carrier-grade Service Level Agreement boasting 99.999% uptime and 24/7 in-house customer support. With an average installation period of 4 to 7 days, GeoLinks is proud to offer the most resilient and scalable fixed wireless network on the market. A total of 103 providers ultimately won support in the CAF II auction to expand broadband across 45 states. The funding, which will be distributed over the next 10 years, will connect 53% of all rural homes and businesses with broadband download speeds of at least 100 megabits per second. 19% will have gigabit service available. And 711,389 locations—all but 0.25%—will have at least 25 Mbps service available. 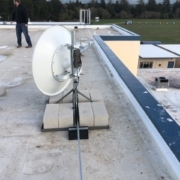 What Does a Fixed Wireless Internet Installation Look Like?